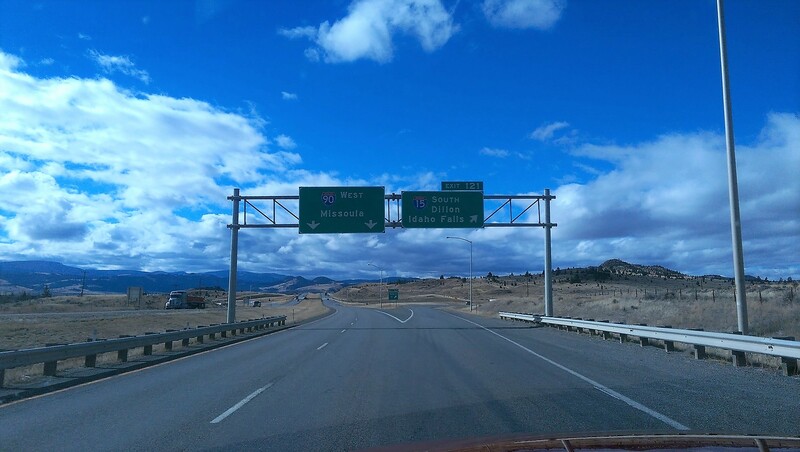 I recently read a blog post done by a person who said they traveled through Montana via Interstate. 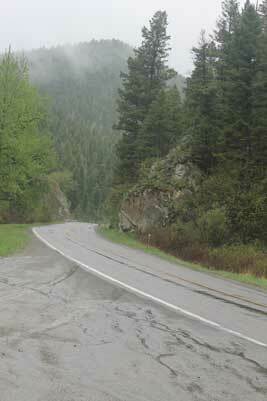 Their post talked about how they did not see all the wonder that so many talk about in Montana. This post got me to thinking about how we travel. The signs on the interstate don’t even hint at the potential places have if you visit. Many of us travel via airplane. When we fly, we accept that we are miles above the earth and what we see is from a perspective that many will never see. We also accept that at this elevation we will miss much of what is below us. The most we will get is a mosaic perspective on the earth. Others of us will travel via auto and the interstate. When we travel this way we assume that we are getting a look into the world through which we travel. I had always assume that to be true until I spent my summer on the backroads of Montana. It was having my summer job and reading this blog that lead me to a new discovery, interstate travel really is only a common denominator for speedy travel. It is not the way to see the USA. An interstate was designed to allow a truck to travel from point A to point B with the least resistance. It was to have the least amount of curves and hills. Business are located along the interstate to save truckers time and milage when traveling from business location to business location. Knowing the objective of the interstate highway system it makes sense that when traveling to a vacation destination that we too will take the interstate. We want to get to our vacation location as fast as possible. When we travel at 65, 75 or even 80 miles per hour down the road we only get a glance at what lies along the interstate. It also means that we sacrifice the places we drive through. When traveling through Illinois or Montana when we hit a town it will be lined with exits with easy access to the Home Depot, Target and Costco. Each town will appear to have the same national chain restaurants. No one would ever claim that McDonald’s and Chili’s are as good as the culinary experience you could find in neighborhoods in Chicago, but if one were to judge the Windy City by the restaurants named along the interstate one might assume that to be true. The same is true of the viewshed offerings. What lines the interstate will feel very same, almost monotonous. This is why people claim the Dakotas are flat, the mountains in Colorado are just ok and Chicago is just tall buildings. It also explains why driving seems monotonous and hypnotic. The interstate is designed to be the same on each mile. When we travel via the interstate; we get the interstate view. So the next time you go on holiday and decide to drive remember that when you drive though a place and you never get off the interstate for more than gas or to eat you really have not visited that place. This summer job has made me a road warrior. I spend four days each week on the road. Every Thursday night I appear at home with dirty laundry and Monday by 6, I am heading out for another week of work. Organization is everything in this kind of lifestyle to make sure you take everything you need when you leave home for work. Many of the places I visit don’t have much more than a couple of restaurants/bars, a gas station and a grocery store. No place to buy socks if you forget to pack them. The surprising but indispensable travel item for me this summer has been my collection of eBags packing cubes. As a sewer I seriously thought about trying to personally engineer a collection, but in the end I bought mine. I love them. My bag has a certain number and size of cubes. On Sunday, I pull them out and pack each of them and when they are all back in my luggage it means I am ready to go. Some of my cubes have a spare pair of socks or underwear in them to remind me of what goes in each. For this job each cube holds one of the five pieces of clothing I put on each day, but I used to be a business suit traveler and think that each cube could just as easily carry your daily outfit. There is nothing worse than the last day of a professional business trip and realizing you wore the wrong blouse with the wrong suit and the one left does not match the suit you intend to wear tomorrow. Ranger Sir and I will sometimes travel with just one bag if we go for a night or two. It is not usually a pleasant experience. I am thinking a second set of cubes in his own color may solve that problem. Shop around for your set because the amount the retailers are asking you to pay varies widely. Everyone has their favorite bag for toiletries based on what they want and need. Most of us take some supplies from home. My favorite choice for this is the GoToob products. First reason for recommending this product is that it is easy to fill. It actually has an opening you can put shampoo in without it traveling all down the sides. Second is they stand behind the product no questions. I broke a top, emailed them and I got a new top. It is a one time purchase. Lastly if you travel via airlines it was designed with that in mind. The only negative is it is designed with words like soap, shampoo, lotion, conditioner on the neck. Without my glasses in the shower I can read that stuff, so I had to shop around to get assorted colors to work for me. In spite of that I really do like these the best of all the travel containers I have ever owned. 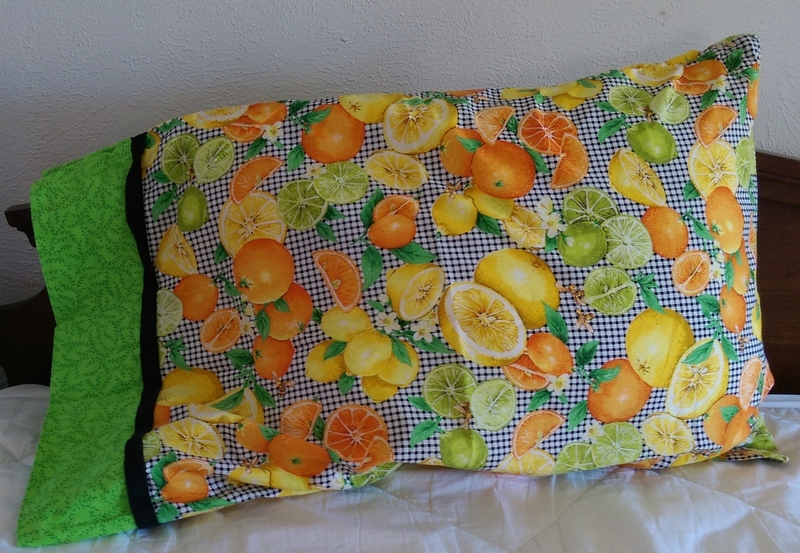 The fabric I used in this pillowcase always makes me smile because it is so crazy unexpected. My last recommendation is a pillow case from home. I have made a collection of bright don’t forget me pillow cases, but anything will do. Pillow cases from home can be used to cover and double up hotel pillows to simulate your personal pillow. Pillowcases from home can also be used to keep your face and skin away from the harsh hotel laundry soaps. It also puts another barrier between you and the pillow that hundreds of others have slept on. Lastly this is what I put all my dirty clothes in to take them home. It is like having a personal laundry bag to keep your dirty clothes from soiling your luggage and anything you may have clean left in your bag for your next stop in your travels. Montana breaks the state up into regions. If you are coming here as a tourist there is a booklet for each of the regions, highlighting the history, things to do, places to stay and whole bunches more. I live in the southwest region of the state often called the Gold West region because this is where it all started after Lewis & Clark. There was gold found in the region and it was to be during those early times, people came in search of quick riches. Last week I was in what we call the Golden Triangle. 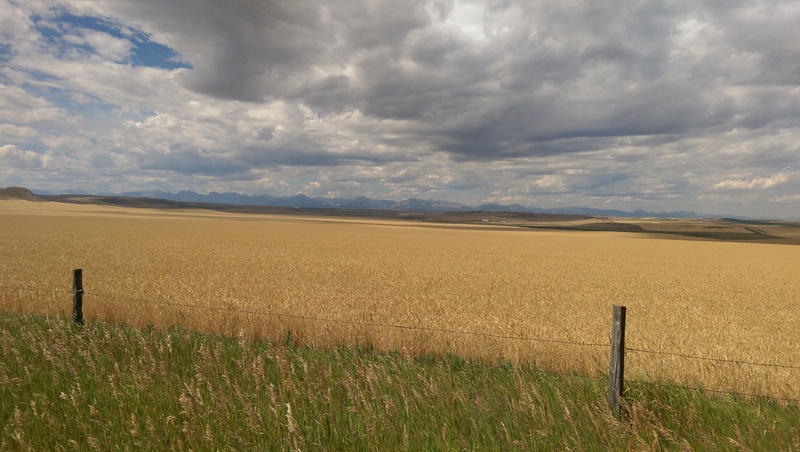 Not because of the gold that you find in southwest Montana, but because of the golden wheat fields that you find in that region. It is a pretty spectacular place to visit at this time of the year, because the wheat is curing and it is gold as far as you can see. The sky was cloudy or full of smoke from the fire in Glacier park so it was hard to capture what I was seeing but here is my best shot looking at what I had to pick from. There are thousands of acres of wheat the golden triangle. The points of the triangle are Havre, Conrad and Great Falls. Lots of wheat is grown outside the triangle as well. I wish the sun had been out so I could capture how golden it was. 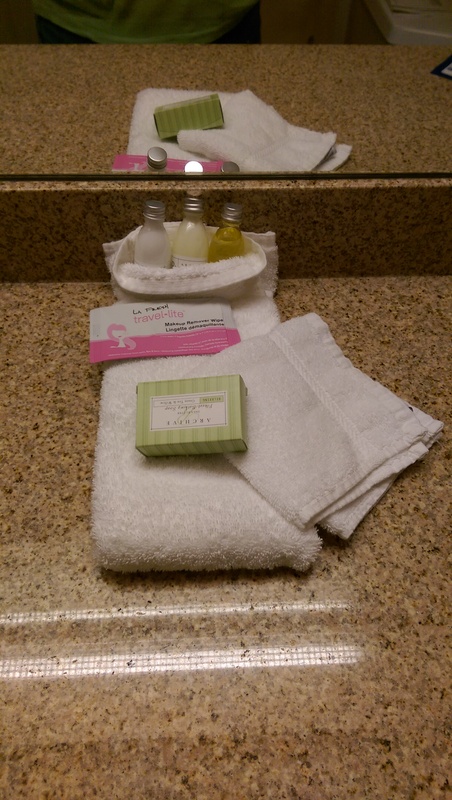 What do you do with hotel toiletries? What do you do with those little mini one use size bottles and bars of soap you get in hotel rooms? Most folks who travel regularly already have a bag with their personal toiletries. We bring from home our preferred personal care products for an assortment of reasons. You like to use the same face cleanser you use at home. You are trying to get the most mileage from your last salon visit and use a special shampoo and conditioner. You may have sensitivities to ingredients or scents. No matter what the reason those little bottles either go unused or worse yet brought home and still never used. There is an alternative. Bring them home and turn them in to a local shelter. You can collect all those little odds and ends in a box in your home and turn them in a couple times a year to a shelter. That is what I used to do when I lived in Minneapolis years ago and traveled lots. This job has put me back on the road tons and once again. I found myself collecting hotel toiletries. I got to thinking about the local woman’s shelter, and how I imagined many of them left with little and what extra they did take was likely for someone else, their kids. I know that organizations that help folks in these circumstances are prepared to help and work with people who leave with just the clothes on their back. They have donations and supplies that they give out to the folks they help, and the folks they are helping are probably keeping things in garbage and zip lock bags. It inspired me to take a different approach to my travel goodies this year. Rather than just turn them in, I wanted to put together not only a travel kit, but a bag that might be used to keep things together for them. I know how much I appreciated my travel bag that keeps all my personal care products together. First I had to make or buy the bags for this use. I had some odds and ends of fabric from quilts I had made, zippers from projects planned never finished and some quality vinyl that I had no idea how it ended in my stash. I worked up a design and made personal toiletry bags. Each was unique, some bright and some with more subdued natural colors. All of them were designed to zip tight for storage. One side had the vinyl so that you could see all that was in the bags. It was a little bit of a trial, but I loved making them and seeing all the wonderful fabrics that were sitting around collecting dust take on a new life. Once I had finished the bags, RangerSir and I loaded them up with the hotel goodies I had brought home this summer. It was then we then we realized that we had several collections of dental visit “prizes.” There were not enough dental kits to do all the bags, but we added them to as many bags as possible. This was the moment we realized it was in our power to make these more than a bag with hotel freebies in them. We headed to the local K-Mart to shop. We got darn lucky in that they had some full-sized toothpaste for $1 each. It was more than the travel size and less expensive. We had gotten nice things for less than we had planned to spend. We were now inspired and on a roll. We stocked up on single package toothbrushes. We found a dental floss on sale. We found multi-pack combs and bought a couple sets so we could tuck combs in each of the bags. RangerSir found travel pack Kleenex that I had not thought to include. Finally we added razors to each one. 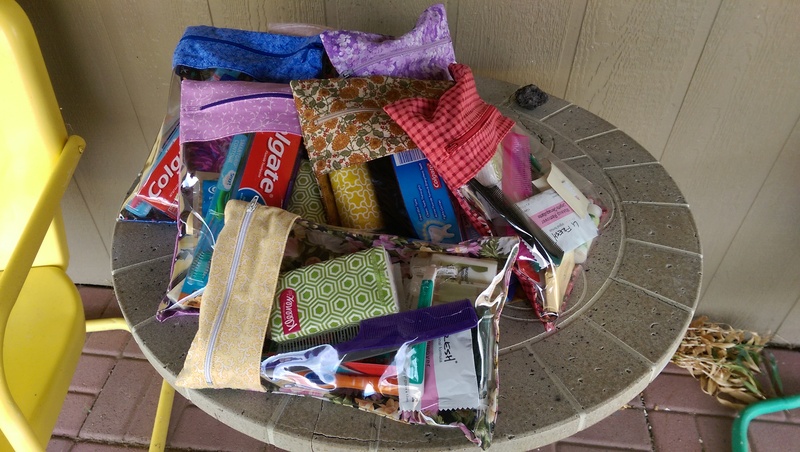 These bags will be going to a woman’s shelter here in the local county. I was thinking of lots of other things that could be added to my bags, but we know not if the recipient will be young or old, alone or in the company of family members. So I stopped and hope that this is enough to get a person started and know somewhere out there someone is thinking of them and wishing them the best in what is likely a very bad situation. My new job this summer has given me a new appreciation for the folks in the world who make the sacrifice of being away from home to support their family. I have traveled before for jobs I have held previously. In my most traveled position, I traveled only about 20% of the time. This job puts me away from home three nights a week. Being on the road this much has made me realize how much time so many people sacrifice to make it in life. We have a friend who is a salesman for a company and covers everything west of the Mississippi. He has spent about 30+ weeks on the road for as long as I have know him (nearly 30 years now). He has two great adult children with families of their own. He and his wife have the kind of marriage we try to have as well, where each is there for the other and figure out ways to be there when it is critical. (There have been some pretty critical life moments for this family). I never before realized how amazing they were to make it all work with all his time away from home. When you think about all the divorce rates and kids who turn out in something less than their potential and then blame their family life. This family has weathered it all and not just survived, they have prospered. Their love, support and values have made the time that took the father/husband away so much a contributing factor to what they achieved, not a detriment or excuse for what they did not achieve. My brother was in the Navy. He worked hard to be with his family as much as possible, but like the military people of past and present that isn’t always possible. There are big and small moments missed that can never be gotten back. I never thought about what it must be like to be a single parent for so long and then suddenly have someone show up and have the whole family dynamic change in a day. One day you get to make almost all decisions unilaterally and then the next there is someone there who wants to be a part of it all. One day the kids only deal with you and suddenly there is someone else who can say yes or no. It is a complete adjustment for the family, and rules are shifted in the space of a few hours. Yet the military people continue to make those sacrifices for their country and to support their family. In both of these cases I have highlighted the person being away, but the trailing/at-home spouse and the kids make sacrifices as well. They quickly learn that this is their normal. That the parent is away because it is how must be for this family. There is nothing that can be accomplished by wanting a parental presence that can not be. They learn to appreciate the times they have and adjust with the changes that come with a moving set of how a family looks and functions. The “keep the home fires burning” parent often has a job as well. The only difference is that they get to sleep in their own bed at night. They often have to juggle their job, children and home with no one their to help. Kids may have to step up and grow up a little faster to help. It is a balancing act and a collaborative effort. I had thought of this occasionally before. This job has given me a new appreciation for what one misses out on when you are gone, how they adjust when you blow in to town and that they will adjust again when you hit the road again. I know at the end of the summer my job will end, and I will be home every night again, but there are thousands of men and women that this is part of who they are and how they support their family. My hat is off to you because most of us can never imagine what that job costs you and your family. You are making under what can be very challenging conditions. 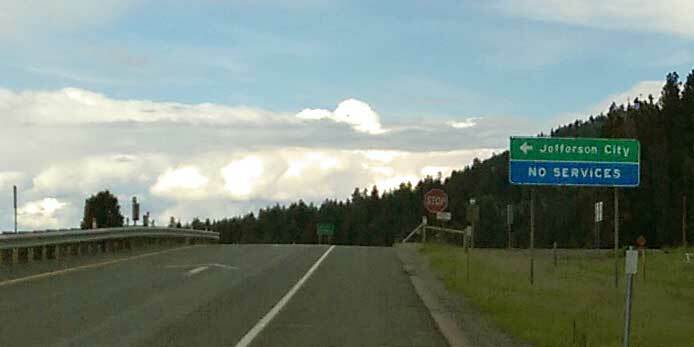 There are many exits in Montana marked No Services. I get asked about this by visitors who imagine they know what it is, but have a hard time getting their mind around that a place with no services exists. It is exactly what you imagine it is is no gas station, no convenience store with food, no bathroom (latrine or flush), no motel, or anything else. Odds are the place doesn’t even have a post office that you can stop and ask for help. You know all those standard blue signs you see on the interstate with the universal motorist services, well this exit has none of that. Even in the city I suspect that not ever exit off the interstate has services. I suspect some of them are for residential areas without services. If you live there you know that the Oak Street exit does not have a gas station, but the Walnut Street exit has two. 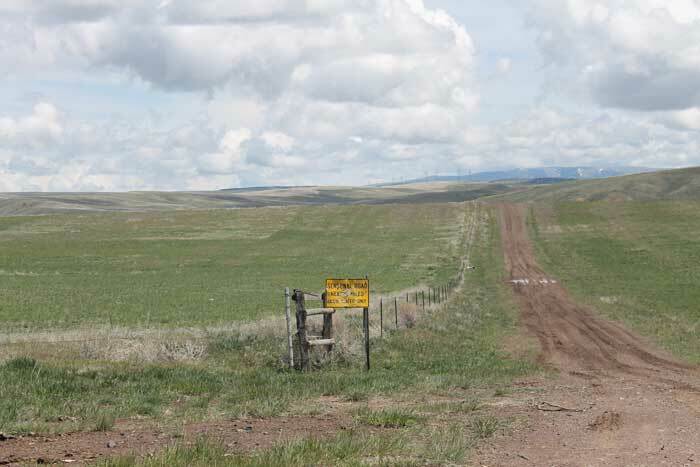 The next time you visit Montana and you shake your head about all the places without services, think of as a kind of rural friendly that you don’t get in the city. We save you the time that people who don’t know your city and get off on Oak Street looking for gas waste. Right now the south is experiencing some record-breaking rain amounts. I have been reading about the amounts they have received and the damage it has been causing. Everywhere so many of us have been praying for rain, as much of the country is dry. Our prayers are being answer, it seems we did not specify how much or when the rain should come and now it is coming in quantities we are not sure how to deal with. I spent last week in a rural county in Montana that only gets 12.99 inches of moisture a year. It is bunch grass and sage country with a lone hearty tree found once in a great number of miles. They too were getting their rain in an unseasonable amount at one time. 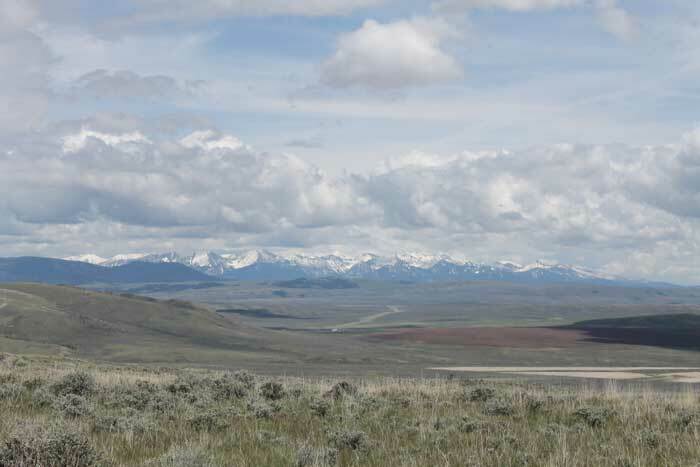 When the rains broke it was some wonderful open spaces with breathtaking views and I knew that this job was what I was suppose to be doing this summer. Driving in the rain on the two lane highways one could almost imagine that they were somewhere else. like the rainy Oregon coast, because it the clouds were so low and the vegetation crawled up close to the edge of the highway. You could not see the Montana landscape. I grew up in the Midwest where snow fences were common place to catch the snow as the wind blew it around. Snow fences were rolled out each fall in fields off the highway each fall, nothing like they are in Montana, where they are build and stay in place year-round. 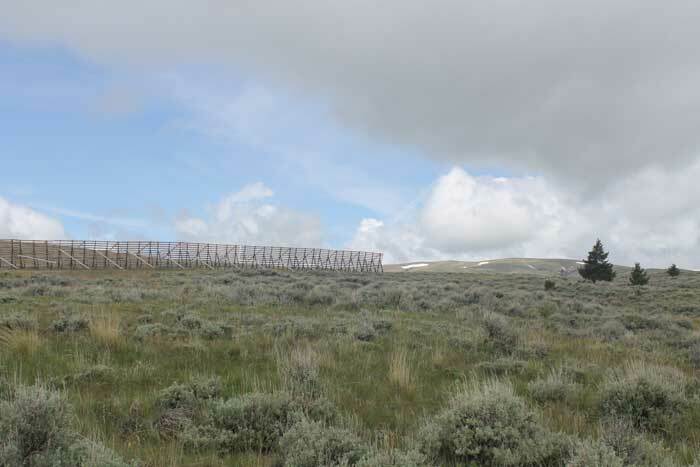 I have been here 13 years and the snow fences in Montana still strike me with awe. I don’t think it is the snow that is the problem. It is the wind that blows that causes problems. I swear snow can fall at my house and the wind will carry it to the next county. The rain was starting to break up for a bit when I took the photo of this fence, with a little snow still left that collected in bowls in the background. As you can see we have monster tall snow fences that are never put away. The trees there give you some scale how tall they really are. My job this week was setting out gypsy and other invasive species moth traps. I am given a book with a map with dots on it, along with hand-drawn site maps, where we are to set the traps out. These take you to some of the most remote locations in the county. When you are setting traps a sparsely populated county you can go for hours and miles and not see a sign of human existence except for the barbed wire fence and the cattle. It also meant that I saw this sign often when I was setting traps. The rain made these roads a challenge to navigate, but there was only one time when I said this has reached the top of my 4-wheel drive skill level and turned around. The rain was pouring, the road had miles ago turned to mud, there were blind hills and curves and I was about ten miles from the paved road. There is one thing you don’t want to do is get yourself stuck miles from the last ranch house you saw in the pouring rain. I got a break on the first day with the rain and am so glad I took this picture of one of the seasonal roads I traveled to set traps. On this road I found more than mud and puddles I experienced something the locals call gumbo. I am not sure even how to explain it, but it grabs on to your tires and truck and doesn’t let go. It builds up inches thick on everything, making driving one nasty slow going experience. I did capture one picture of the one of the three mountain ranges that surrounded me this week. Even with the clouds and the distance there is always something that takes your breath away when you look up and see natures amazing handiwork.